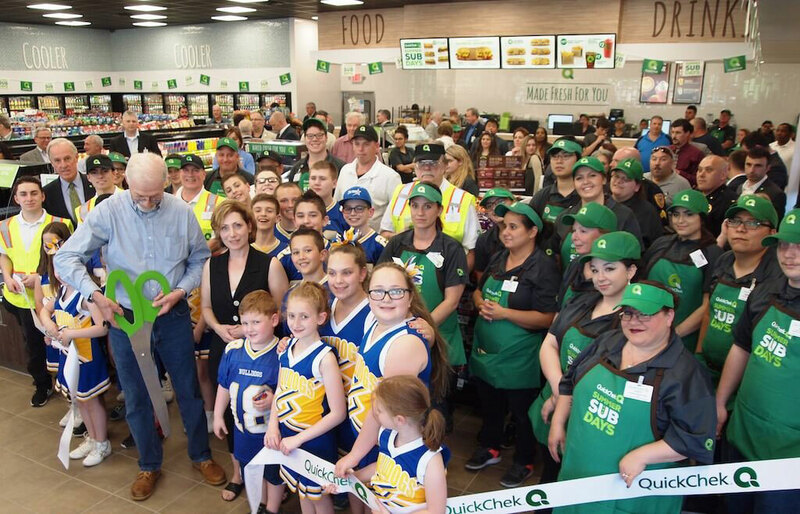 BUTLER, NJ — Continuing to redefine “fresh convenience,” QuickChek is taking its ability to provide fresh products and food-to-go to a whole new level. The Whitehouse Station, NJ-based fresh convenience market chain, a leader in food services with an exceptional fresh coffee and fresh food program that has been voted the best in America in a national consumer survey, will open a new 5,496-square-foot store located at 1435 Route 23 South in Butler, NJ on May 22, 2018. It is the company’s second store in the borough, but this location introduces a new design to meet the needs of today’s fast-casual shopper. The new food service menu includes QuickChek’s most popular limited edition, fresh-brewed locally-roasted Kris Kringle coffee and introduces QuickChek’s “Summer of Subs” featuring delicious, handcrafted restaurant-quality 6-inch subs and 9-inch premium original recipe sub sandwiches served on crispy artisan rolls, all made with the finest ingredients and freshest quality meats and cheeses. The new Butler store creates 50 new local jobs, including eight management positions. Each new QuickChek location typically generates approximately $1 million in tax revenues, adding to its positive impact on the local economy. As does its commitment to giving back to the communities it serves: QuickChek will donate $0.25 for every sub, sandwich and wrap sold in the store from May 22-June 21, 2018 to the Bloomingdale/Butler Youth Club. Grand Opening promotions include free large QuickChek hot coffee offered to all patrons from May 22-June 3, 2018. As an added value, all 6-inch QuickChek subs are $3 for a limited time and all handcrafted QuickChek smoothies and specialty drinks are $2 from May 22-June 3, 2018 and empanadas are 2 for $3 from May 22-June 3, 2018. Consumers can enjoy additional convenience and savings at any of the company’s 156 store locations throughout New Jersey, the Hudson Valley and Long Island by downloading the QuickChek mobile app at www.quickchek.com. Loyal customers are also rewarded with a free coffee after they purchase six coffees. The new Butler store marks continued growth for QuickChek, which was recently named one of “America’s Best Employers for 2018” by Forbes. The fresh convenience market chain has opened 21 new stores and has hired an additional 950 people since 2015. This week marks a double celebration as tickets for the 36th annual QuickChek New Jersey Festival of Ballooning in Association with PNC Bank, the largest summertime hot air balloon and music festival in North America, go on sale at all QuickChek store locations Memorial Day weekend. The Festival has been named the premier family entertainment attraction in New Jersey by the USA Today Network and features twice a day mass ascensions of 100 hot air balloons from around the world, a live concert series featuring pop star Andy Grammer, fireworks, a nighttime balloon glow, and family entertainment and attractions. QuickChek’s title sponsorship, now in its 26th year, is the longest running title sponsorship of any festival in the United States.